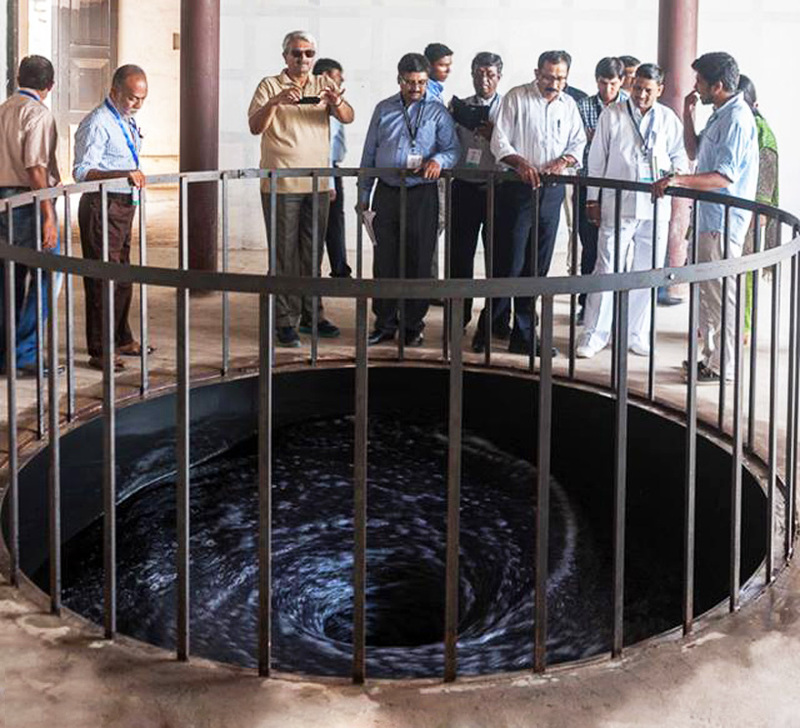 the kochi-muziris biennale is india’s first biennale for contemporary art being held in kochi. 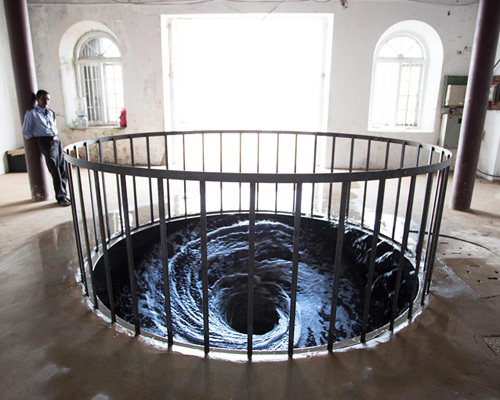 one of the festival’s biggest draws is legendary artist anish kapoor‘s ‘descension’, created especially for the event. 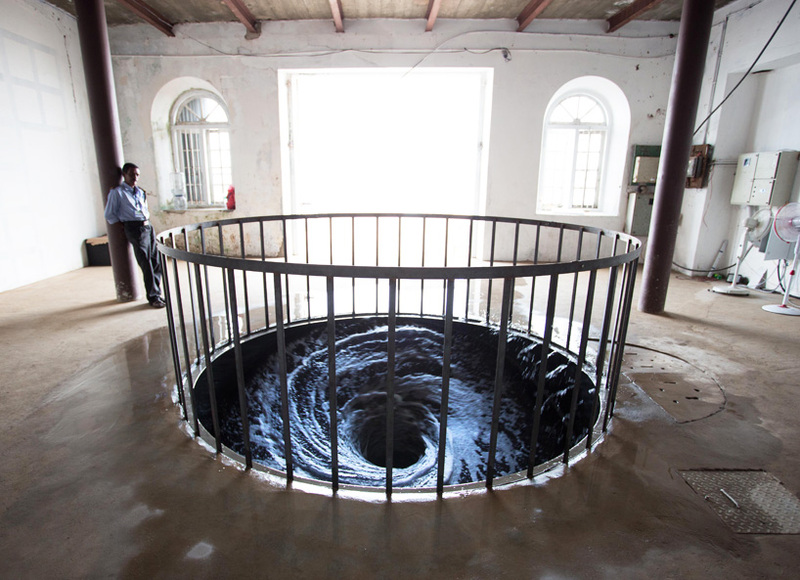 kapoor — long renowned for his large-scale, invasive sculptural works — sets visitors within the harrowing space at aspinwall house, fort kochi, where a caged vortex of black water spins down a seemingly bottomless hole in the gallery floor. 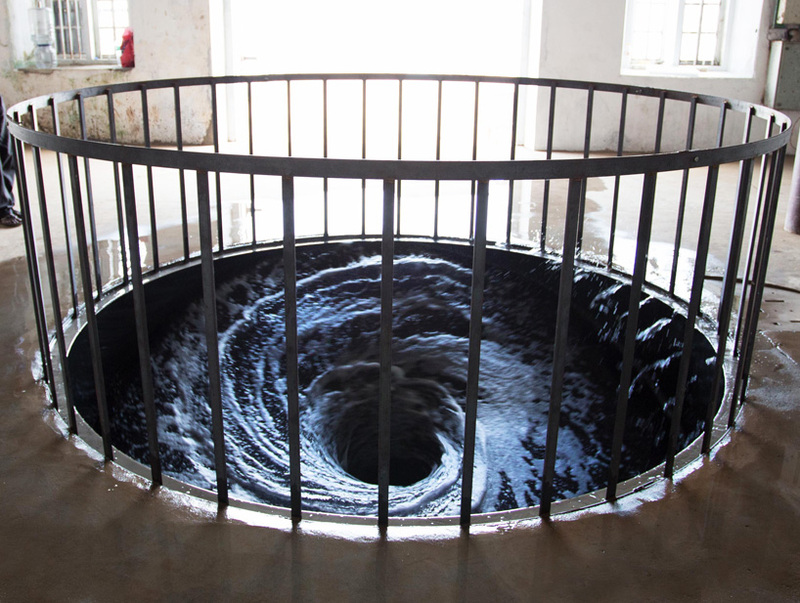 a perpetually rushing whirlpool churns into the ground, entrancing observers in its continuity, and creating a spine-chilling atmosphere for those nearby. 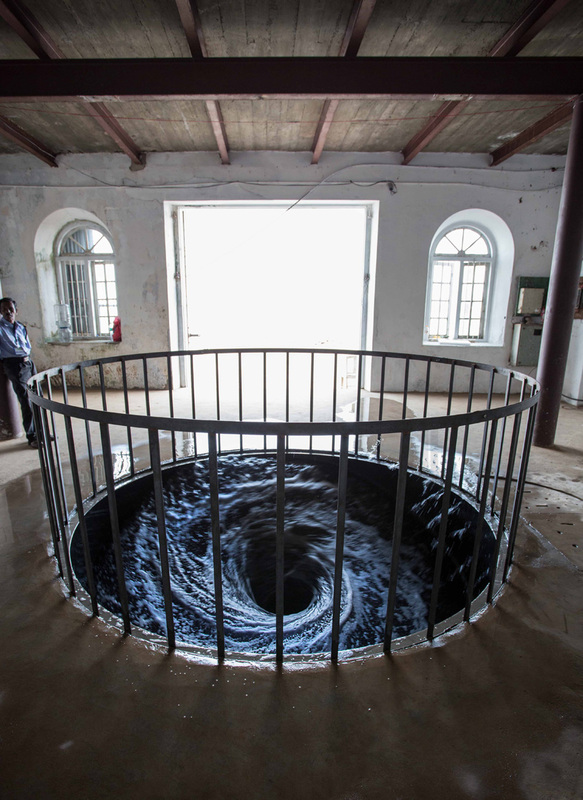 contained within the circular gate, ‘descension’ naturally draws visitors to peer as far down to its depths as they can, but it is kapoor’s masterful play with boundaries that keeps them constantly intrigued. 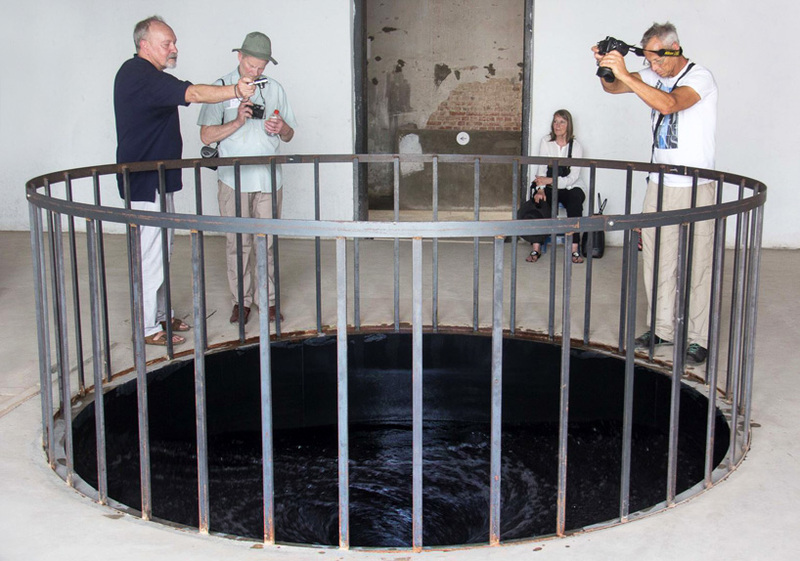 take a look at the video interview below to hear kapoor on the significance of the element of scale in sculpture, and his interest in the point of contact between his work and the observer. 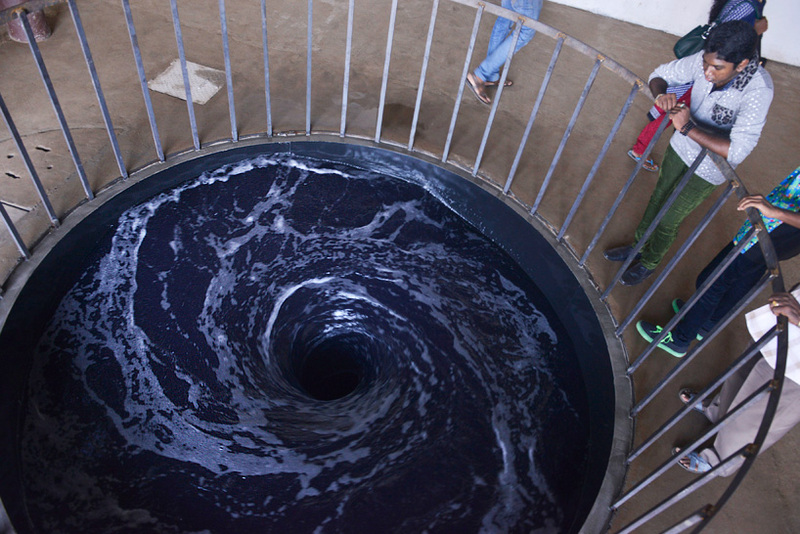 Love this , anish kapoor is a brilliant artist .